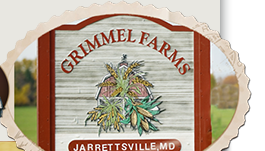 Grimmel Farms, Inc. is a fourth-generation, family-owned and operated farm located in Jarrettsville, Maryland. Today over 4,000 acres are in production - growing corn, soybeans, wheat, barley, straw, hay, and produce in Maryland and Pennsylvania. The most modern production machinery and farming techniques are used. Environmentally friendly farming practices help to keep the soil and nutrients well-balanced and protected from erosion. No one is more concerned about water and air quality than we are – since we make our living from the land! Practicing sustainable farming helps us ensure that we will be able to farm our land for many generations to come. Our quality crops are sold to local farmers to feed to their animals, people who visit our roadside market, and to cooperatives and other agricultural firms who purchase our grain. 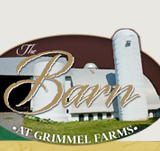 We are pleased with the fact that our land continues to yield abundant harvests year after year. 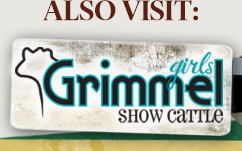 Owner and operator, Ed Grimmel, has won several awards for his outstanding grain production, including first place finishers in the National Corn Growers Association’s annual corn yield contest.